It's funny, I didn't feel like all that much happened this year, but as I went through all my blog photos from the last year, it reminded me of so many things that happened in 2015! Vancouver Vogue hit 1k on Instagram! Collaborating with Nobis & Grey, Thirdlove, eShakti, Kassinka, Mogo Financial and more! 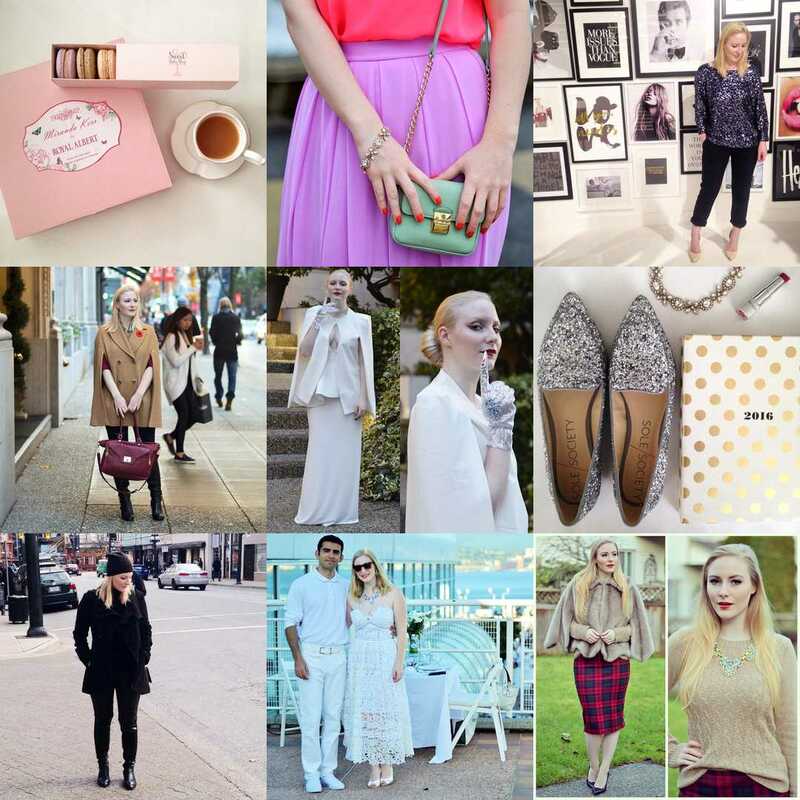 And if you're feeling like taking a trip down #tbt lane, here are all the Vancouver Vogue looks from 2015! Some of my absolute favourites? My New Year's collab with Value Village (the leopard pants), that gorgeous pink maxi skirt from Kassinka, and my plunging white gown worn at VFW. Oh, and hey suddenly my hair cut a huge cut part way through the year! Absolutely loving it.